Undoubtedly, wedding is the most illustrious occasion in every man's life, as this mark the beginning of a new chapter in his life. On the wedding eve, like all men, you must be striving to look charismatic, smart and ‘dress-to-kill’. Making sure the heads of your best pals and relatives turn towards you, and most importantly, magnetise your bride at first look. However don’t try to out-do your bride. She is the most important person that day. Picking a wedding suit has always been a baffling task, because, you need something really adorable the match up the aesthetic beauty of your upcoming soul mate. However, a great wedding suit means breaking your balance on your fixed budget. Lots of companies offer great to measure wedding suits. There is one problem though. They cost a fortune. They don’t have to but the do. Our wedding suit department at Men’s Finest understands, therefore we want to make a pledge. Anyone that comes to us mentioning this article is going to get their wedding suit made for £1300 – fully made to measure, with all the alterations. We like to keep it simple. In today's digital society, Internet has become the popular marketplace for clothing (for both men and women). And, when it comes to wedding suits, we can check the widest selection of suits, all kinds and style, be it a traditional white colour suit or trendy fashion in the market. The best thing about online shopping, you can get great deals and discounts. With the amount of competition, the customers are the real winners here. However, make sure you buy from a credible e-commerce for premium quality and high durability. The wedding is that time of our life when we discover the significance of coupons, which you attained from shopping online, from grocery buying to home appliances. Be it the printed or the online codes, keep them together, and picked out the ones, which can help you that save some extra dollars on your wedding suit. However, in the lure of coupons, don't buy something, which is not the worth the price, even after getting the discount. Agree or not, from the next day of your wedding, you will probably never going to even have a flash-back of your wedding suit, it's in human nature. Since the suit is a one-time affair, it's a no-brainer to get it on hire, as this will help you to enjoy your wedding ceremony and not constantly thinking and worrying about breaking the bank. 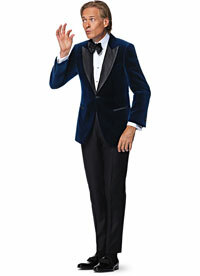 At the end of it all, the above four ways of getting a wedding suit, within a tight budget are great. And, the best part, you don't have to compensate on anything and you can solely focus on having a great time!